If you live in Costa Mesa or the 92626 area, we invite you to schedule an appointment with our dental center. We can treat everyone in your family and ensure that you are in excellent oral health. We understand how essential healthy teeth and gums are to your ability to enjoy life and live without restriction. Your teeth make it possible for you to eat lunch with a friend, smile at your children, and speak with a client at work. Our objective is to prevent you from experiencing this inconvenience by keeping your teeth healthy and intact as you age. This starts with preventative care, making it necessary to visit our dental center and have your teeth examined and cleaned once or twice a year. 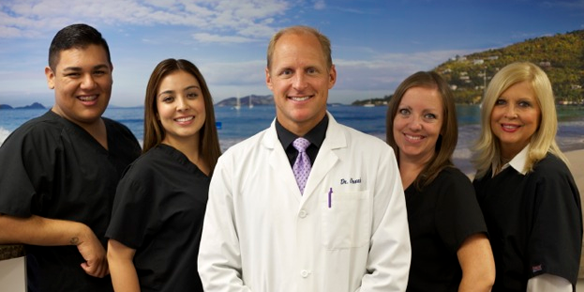 We invite you to call (714) 545-7157 and schedule an appointment with our dental center. If you are currently in search of a dentist, you can be confident that visiting our office will give you access to comprehensive dental care that will address all of your oral health concerns along with the goals that you have for your smile. We are located in Costa Mesa and offer appointment times that work for you. If you want to learn more about our office, we invite you to stop by the office, meet our staff, or you can read our reviews to hear what our patients have to say. The biggest compliment we can receive is when a patient refers their friends and family to us. We are pleased that so many of our patients have made the effort to write a review. When selecting a new dentist, it is important to find one that practices a philosophy of care that you are in agreement with. The philosophy of care will influence their approach and the treatments they provide. At our dental center, we are passionate about the health of our patients and the impact that it can make on their lifestyle. We do not view dental care as an isolated issue but, rather, as something that influences your ability to enjoy life and live without fear of discomfort. Our approach begins with preventative care since we are confident in our ability to reduce the likelihood of you developing cavities or an infection. Preventative care often involves regular teeth cleanings, fluoride treatments, and deep cleaning the gums when necessary. We also focus on both restorative and cosmetic dentistry. Preventative care also allows us to treat any damaged teeth while also improving the overall appearance of your smile. Our approach is designed to ensure that our patients have a healthy smile that they can enjoy showing off. If you would like to learn more about how we can help you, call 714-545-7157. When you visit our Costa Mesa, CA dental center, we will begin by examining your teeth and gums. The examination allows us to identify any cavities that require treatment or gum disease that we need to deal with before viewing other treatment possibilities. Since our first priority is your health, we will address these issues before anything else. Next, we will discuss what you do not like about your smile so that we can plan for how to best correct it. With the wide variety of cosmetic dentistry solutions we have available, we will do everything in our power to address the issue in our dental center. Some patients even find that they do not need braces after we finish improving their teeth. Check out what others are saying about our dental services on Yelp: Dental Center Costa Mesa. When you visit our Costa Mesa dental center, we can restore damaged teeth, including cracked or chips to the enamel. We have several tools for correcting problems that include a dental crown, dental veneer, and dental bonding procedure. Natural-looking crowns are often a preferred solution since they are a cap that surrounds the exposed portion of the tooth. By not allowing anything to touch the natural tooth, a crown serves as a protective barrier against a bacteria infection, the force of biting, and anything else that may come in contact with the damaged tooth. Our goal for restorations is to create a tooth that looks beautiful while being entirely functional. In our dental center, we can improve the appearance of your teeth and do so by closing gaps between your teeth, covering dark stains, and even changing the overall shape of your teeth. If you want a Hollywood-style smile, this is possible with a trip to our dental office. One common way to do so is by applying dental veneers. A veneer is a thin shell that we bond to the front of your tooth to change the appearance. Your natural tooth remains in place, but we alter the size, shape, and shade. This is a common solution for creating the illusion of a perfect smile. However, at times, all that is necessary is to simply whiten teeth and remove the stains. We can assist with that in our Costa Mesa dentist office. Our whitening treatment is far more effective than what you can purchase in the store since it will whiten your teeth by eight shades or more after penetrating the enamel. This creates a dramatic difference in the appearance of your smile, and the procedure is completely non-invasive. 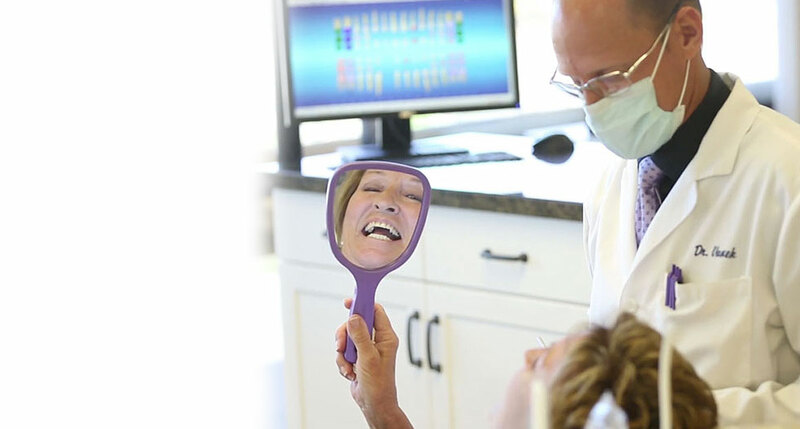 We invite you to call (714) 545-7157 to schedule an appointment with our dental practice so that you can experience our superior service and patient care.